Mystery surrounds the fate of a millionaire businessman who disappeared from his luxury residence at Bambalapitiya in the wee hours of last morning. M. Sakeem Sulaiman who had arrived at his residence around midnight after attending a party has gone missing since then, according to his wife. The wife of the businessman, a well-known textile trader in Colombo, told Police that she had heard her husband knocking at the front door and calling for her but she had found him missing when she opened the door. The businessman’s car in which he went to the party was found parked at the porch of the house. A Police team investigating the disappearance had found an expensive wrist watch and spattered blood stains about 150 feet away from the house. 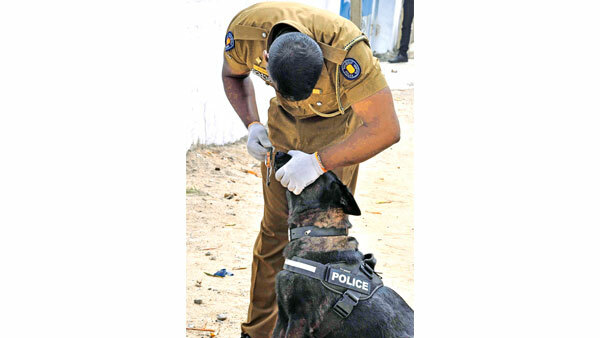 Police mastiff were deployed to collect evidence while investigations are ongoing in several scopes. Meanwhile, Police said had received information that a silver vehicle had arrived soon after Sulaiman arrived home and dragged him into a vehicle before speeding off. Police recorded statements from Sulaiman’s wife and several others. The CCTV footage taken from his house and from a camera installed at nearby houses will be used for evidence, according to Police.